Swanton’s Tommy Chonko rounds third as he looks to score in the top of the fourth inning Thursday versus Delta. The Bulldogs used a nine-run sixth to take down the Panthers 12-2 in six innings. Derek Floyd of Swanton steals second base in the game with Delta Thursday. Swanton starting pitcher Austin Luce tossed five innings of no-hit ball in the win over Delta. He also struck out nine Panther hitters. 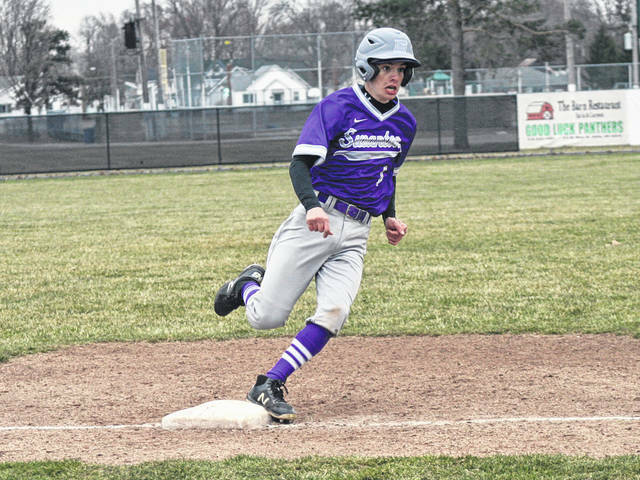 A nine-run sixth inning broke open an otherwise tight game as Swanton traveled to Delta Thursday and came away with a 12-2 win in six innings on a brisk day for baseball. Up 3-1 in the top half of the sixth the Bulldogs went to work. Carter Swank reached on an infield single to start it off, Michael Lawniczak then reached on a bobble at third base, followed by a single from Roman Epley, loading the bases. Billy Nowakowski’s blooper plated Swank, plus a passed ball scored Lawniczak for a 5-1 Swanton lead. Zach Zawodni would come through with a triple to right field that brought home two more runs. After an out the Dogs kept attacking. A Tommy Chonko infield single scored Zawodni to make the difference 8-1. The Dogs reloaded the bases as Hunter Mix reached on an error and Swank, making his second appearance in the inning, followed with a walk. Lawniczak then put down the final blow, drilling a shot to the fence with the bases loaded, scoring everyone including himself when the throw from the outfield landed near the Delta dugout. “Sixth inning we lost focus in a 3 to 1 game and it got away from us defensively,” explained Panther skipper Damon Mattimore. This gave Swanton an insurmountable lead of 12-1. Delta (1-6) cut the deficit to 10 in the bottom of the inning with Austin Michael’s RBI single that plated Chase Cooper. However, they also stranded a pair of runners as Nowakowski, on in relief of Austin Luce, struck out the next three batters to end the game in six. “Coach McCarthy and his staff has a good team this year. They are experienced. We are very young,” said Mattimore. The Panthers used three pitchers with starter Hunter Hamilton taking the loss. He did have four strikeouts in just two innings of work, but also walked four and allowed the game’s first three runs. Those came on bases-loaded walks from Swank and Lawniczak, plus a passed ball that brought home Devon Crouse. Chase Stickley and Michael finished the game for Delta. 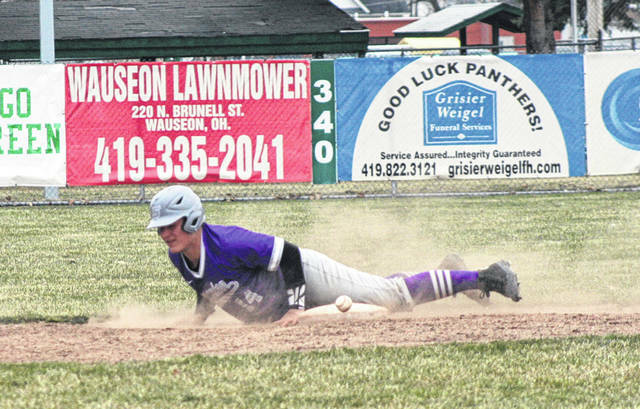 For Swanton, Lawniczak drove in four runs, three of which came on his triple in the sixth. Chonko and Nowakowski each added two hits, while Zawodni finished 1 for 3 with a walk and two runs batted in. The Dogs also had impressive wins Tuesday and Wednesday. 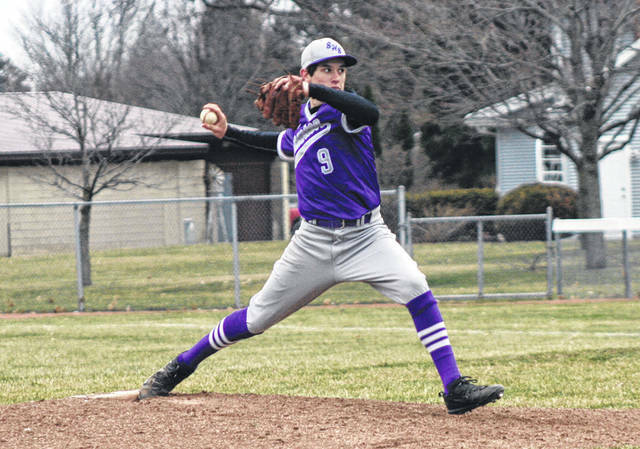 On Tuesday they shutout Waite at home 20-0 in five innings, while Wednesday they traveled to Otsego and defeated the Knights 6-1. Jayde Kruzel went the distance on the mound, allowing no earned runs and striking out six, to give Swanton the win over Otsego. Swank led the way offensively, going 3 for 5 with an RBI. Epley was 2 for 4 with an RBI. He tossed a no-hitter to help his team put away the Indians. The Dogs were at North Central Saturday, topping the Eagles 10-1 in six innings. Nowakowski got the win on the mound. Leading the offense was Epley (2 for 3) who drove in three runs, and Lawniczak (1 for 3) who knocked in two. Swanton begins the Northwest Ohio Athletic League season Monday at Evergreen, they host Pettisville Tuesday and travel to Archbold on Thursday.